YELLOW? REALLY? It’s bright. It’s loud. It feels like a bit too much. Many people are prone to think they can’t pull off a yellow shirt. But I am here to say loud and clear: you can rock yellow and I’ll show you how! There’s always a new season on the horizon! And maybe you’re looking to branch out from your standard wardrobe choices. You want to add something snappy, polished and fun. So let’s begin. We’ll look at all of the wonderful ways you can upgrade your wardrobe for any season by rocking a yellow shirt. On top of that, we’ll discover what other pieces in your wardrobe will pair perfectly with your snazzy yellow top! What Shade of Yellow Works For You? Yellow ain’t just yellow. It’s just not that simple (but is anything really?!). When we talk about this magnetic color, we are talking about a vast array of gorgeous yellows ranging from deep canary to bright bumblebee to a sophisticated shade of tuscan sun. Which yellow is for you? Well, the basic rule of thumb here is, the fairer your complexion, the warmer and more saturated you want your yellow to be. And vice versa! The darker your complexion, keep your yellows cooler and lighter. Ok. Now that we have determined what yellow works best for you, let’s get to the fun part. How do you match your yellow shirt with other items in your wardrobe? What matches best? While I personally love using my creative eye to put together an outfit without referring to theories or assumptions, there are some definitive rules out there that tell us which colors look best with one another. 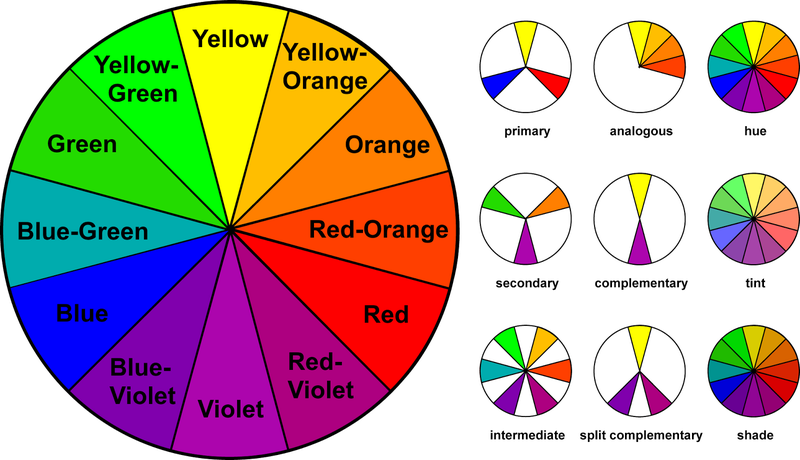 And for that, we look to the color wheel! Combine colors directly next to each other. Yellow and yellow-orange work well together. So do yellow and yellow-green! Check out colors that form right (90 degree) angles with each other. Such as yellow and red-orange. You can match colors directly across from each other too. Yellow and violet are sure to make a bold statement! Try out colors that form a T such as yellow, violet, and red-orange. Or yellow, blue-green, and red-orange. And finally, you can combine colors that form an X like blue, orange, violet-red, and yellow. Alright then, enough of the theory. Let’s get to the outfits! Here are some definite “Do’s” when it comes to styling your yellow shirt. This is one of the easiest and most classic ways to style your yellow top. A trusty and trendy pair of denim jeans is essential to every wardrobe. The contrast of a deep denim against a bright yellow is always eye-catching! This is a great look for a casual weekend afternoon out and about. If you’re looking to instantly upgrade your look to something bold and fun, try a solid yellow top with a playful print on the bottom. This is a polished look with some creative flair! Keep it spiffy with the navy and yellow combination on top. Throw a navy jacket over your dashing yellow top. If you hope to stand out in the office, give this look a try. Bonus! It’s the perfect outfit to take you from the office to happy hour where you can grab after work food and drinks with friends and be among the most stylish in the crowd! Here is a gorgeous way to introduce a deeper, more mustardy yellow to your wardrobe. This is a great option if you have a fairer complexion. Add a deep maroon pant for an elegant and cultivated look. Though it may not be for everyone, a monochromatic yellow look is bold and strikingly beautiful! 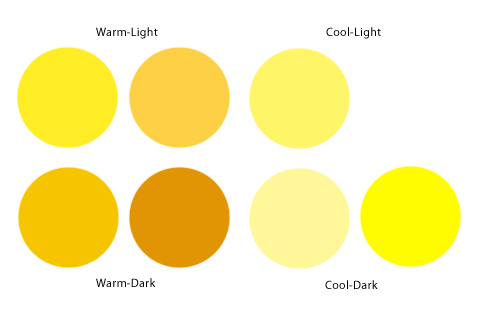 Remember, choose a bright and light yellow if you have a darker complexion. A monochromatic yellow outfit is sure to make a statement and is a fantastic and daring choice for a night out on the town with friends! Ladies, this first tip is for you. A funky complementary necklace is a great choice when wearing a yellow top. A bold addition like this jazzes up an outfit in a jiff! Men, don’t be afraid to pair your yellow top with accessories too! Try a hip belt in a deep olive color. Or add a snazzy and vibrant watch. These are easy ways to bring your outfit together in a trendy but sophisticated way. At the end of the day, your outfit is a way to express who you are. Adding a yellow shirt to your wardrobe is a way for you to stand out and exude a bright confidence. Like I said from the start, sometimes yellow doesn’t seem like the obvious choice and I know it’s easy to think you can’t pull it off. BUT, if you pair a yellow shirt with any of the suggestions above, you are on your way to a stylish and colorfully courageous look. I’ve learned that every time I wear yellow, it elevates my spirits and makes me happier. I have a small hunch that the people around me may just be a little bit happier too! So what do you say? Will you give yellow a try?